Today we are delighted to be introducing our new blackwash Chiavari chairs for hire, available at the moment for our London clients only. Chiavari chairs are the classic design of wedding and banqueting chairs, characterised by their vertical and horizontal batons on the backs of the chairs. As a result our range of Chiavari chairs are always popular, no doubt also due to the fact that we offer Chiavari chairs in a variety of different colours, ensuring that all tastes and requirements are catered for. Limewash Chiavari chairs remain the most popular, though our recently introduced gold Chiavari chairs are a close second. 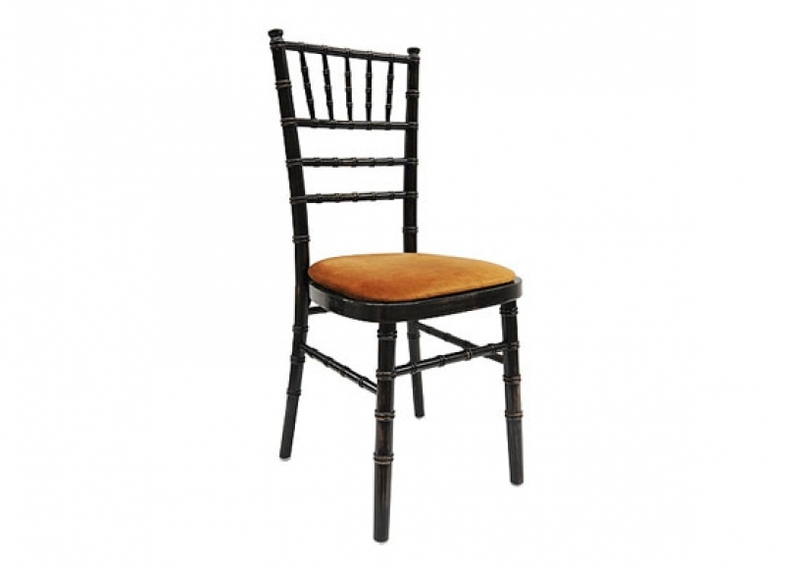 We also offer black Chiavari chairs, white Chiavari chairs and silver Chiavari chairs, all of which are available in the quantities you need. The addition of our blackwash Chiavari chairs provides even more choice for our valued customers, offering something different to the norm – something that is often not available from most event hire companies. Our stocks of Chiavari chairs is in the thousands, with Event hire UK being one of the foremost Chiavari chair hire companies in the country. Event organisers are constantly drawing on our stocks of affordable Chiavari chairs for their events, whether this be dining events, large banqueting occasions, corporate hospitality events, weddings or other special occasions. Find out for yourself today why Chiavari chair hire company Event Hire UK is the #1 preferred destination for event organisers up and down the country when it comes to furniture hire and contact one of our expert sales team today – we are here to help and service your upcoming event requirements.